Cloud continues to be a common buzzword. But, for many cloud is still a mystery. So, we’d like to help clear things up and answer your biggest cloud questions. Computing based on the Internet instead of running apps from software downloaded on a physical computer or server in your building. It’s simple—with a cloud app, simply open a browser, log in and start working. Almost everyone—According to RightScale, 93 percent of businesses are using cloud technology in some form or another. Another source, NSK Inc., states that 82 percent of companies say moving to cloud has saved them money. Should I leverage cloud, too? With all the benefits cloud offers it’s kind of a no brainer to hop on the cloud bandwagon. But, before you take the leap, you need to do your research—which cloud model should you use, what apps and workflows should you move first and, how can you maximize performance and minimize risk? When you’re ready, we can help you out. Contact us to get expert advice and make a smart, smooth transition to cloud. 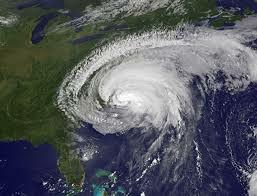 Is Your Business Ready For This Year’s Hurricane Season?